The bridal bouquet was chalked full of vintage detail. 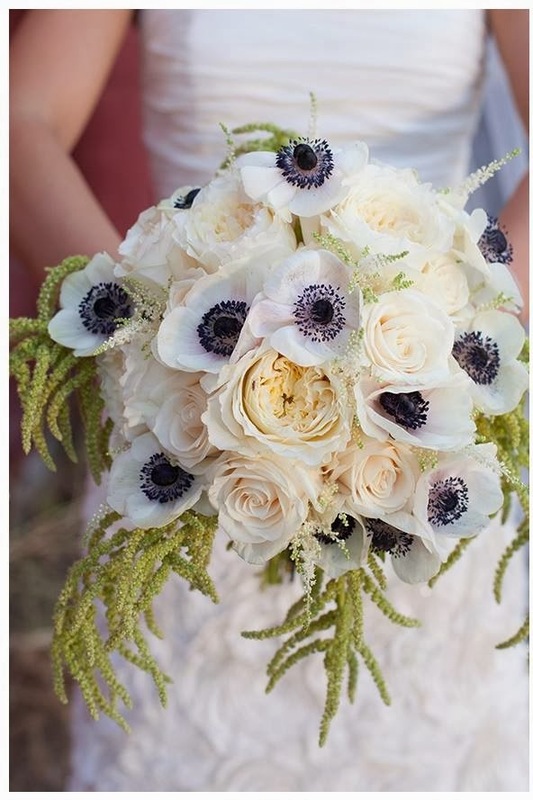 Garden and standard roses backed white anemones with black centers. Ivory astilbe and green hanging amaranthus gave the whole bouquet a loose, garden feel. 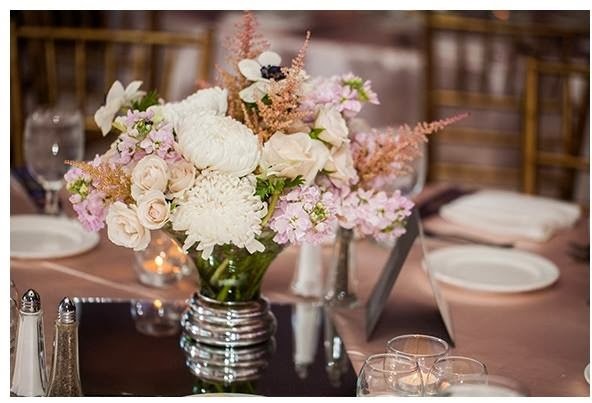 Silver-based cake stand vases held all the textured blooms on the guest tables- including stock flower, snowball mums, roses, astilbe, and of course the anemones! 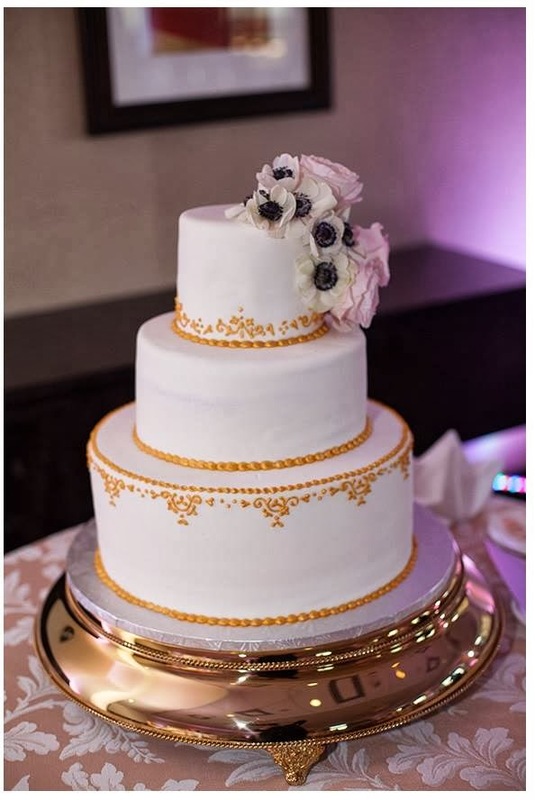 Anemones topped the gold detailed cake. 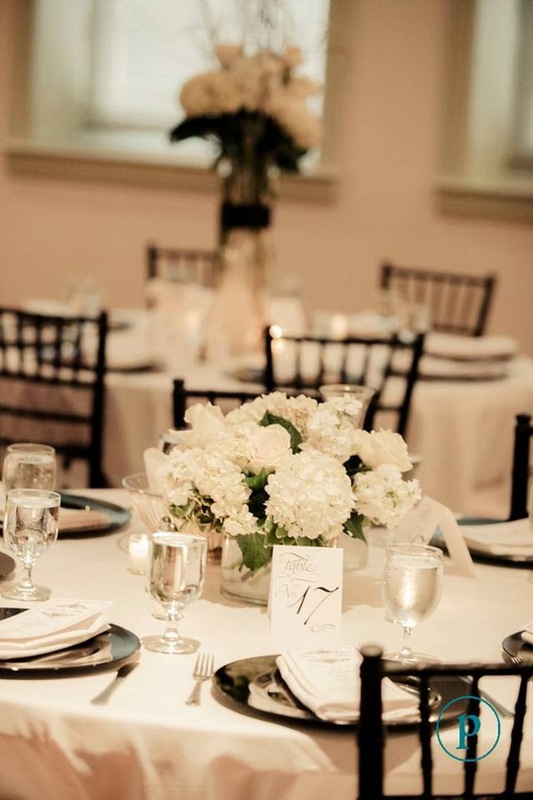 Special thanks to Josie and all the wonderful staff at Cosmopolitan Events for coordinating the day!